71. Nike ACG Lunar Wood "Wood Wood"
It's rare that a collaboration between a sneaker company and a shop results in an entirely new model, but that's exactly what happened when Denmark's Wood Wood teamed up with Nike to create the ACG Lunar Wood. A Lunarlon-equipped update of the classic Wildwood ACG, the Lunar Wood was designed not for casual trail hikes, but for urban graffiti missions. The rubber mudguard was functional, the spatter on the midsole was a fine tribute to original ACG footwear. 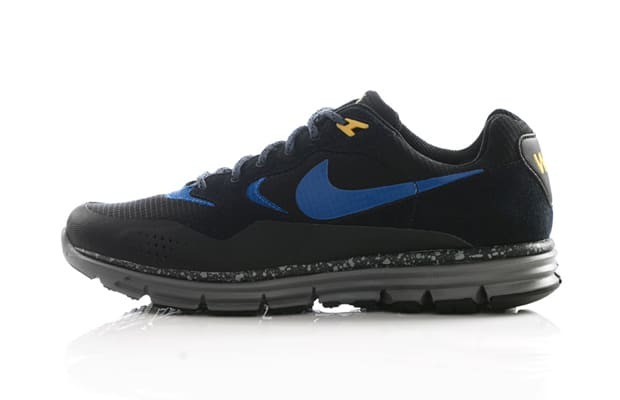 Smartly, Nike found a place in the ACG line for the hybrid.